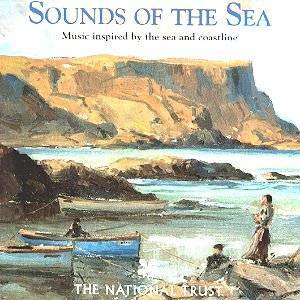 SOUNDS OF THE SEA: Music Inspired by the Sea and Coastline. Various performers. RIVER RECORDS (National Trust) CDN 08. From National Trust shops and outlets. Of the 17 tracks on this compilation (mostly from ASV originals), 13 are British. These include Malcolm Arnold's Three Shanties, Grainger's Molly on the Shore and, less well known, The Brisk Young Sailor, both on wind band, Eric Coates' Sleepy Lagoon and again, less familiar, Under the Stars, two of Vaughan Williams' Studies on English Folksongs (entitled "Spurn Point" and "Lovely on the Water"), played by clarinettist Emma Johnson, two cello/ piano arrangements of Northumbrian folk tunes by the pianist/composer Margo Wright, the Prologue from Richard Addinsell's 1953 film score Sea Devils and - yes, of course, Ronnie Binge's Sailing By. Good to see the NT is supporting British music; enjoyable listening.